Maybe it seems a little crass to be talking about a pleasure found in the midst of this terrible heatwave that currently seems to have a vice-like grip on Japan. It can't be denied though, I've found a refreshing silver lining around the nauseating temperatures, uncomfortable nights, and my plummeting appetite. Today was my first surf of the summer in boardshorts. "Life's better in boardshorts!" read an industry-famous bit of ad copy from surf giant Billabong. 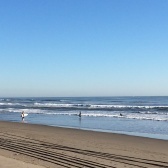 The thing is though, in central or northern Chiba where I mostly surf, "better" is the key word. 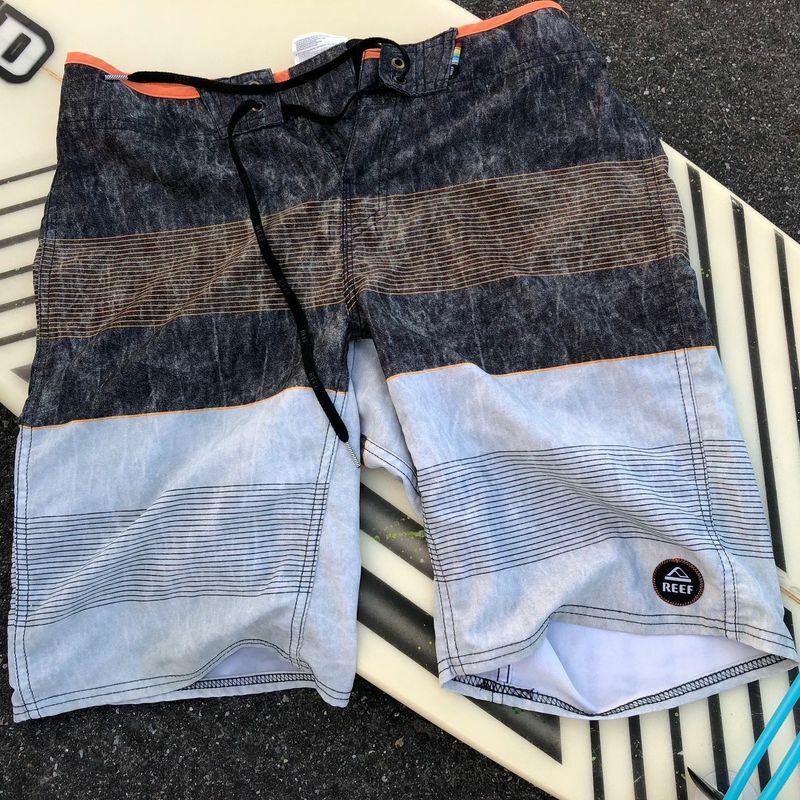 Boardshorts are only slightly better than rubber in summer. The lesser of two evils. The peaks and troughs of temperatures in Japan are rarely equally reflected in the temperature of the Pacific waves that roll into my regular surfing spots where the thermostat varies only between "pretty cold" in summer to "very cold" in winter. 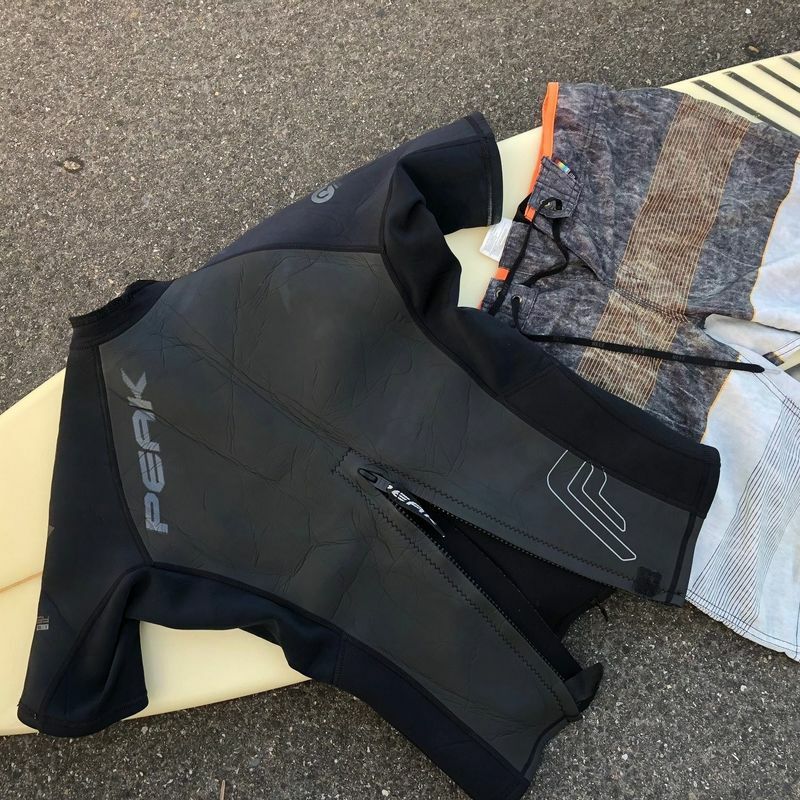 The reason most surfers in the region are in boardshorts or bikinis come summer is simply because on-land temperatures are such that the walk from car park to ocean coated in a wetsuit could well result in a trip to the hospital, or worse. Consequently then, after about 30 minutes in the water, teeth start chattering. In this regard, summer is the most uncomfortable time of year to surf central / northern Chiba. More than winter when all the westsuit gear (including boots, gloves and cap) keeps things toasty in and out of the water. So at around 5:30 this morning, boardshorts on, it was a pleasant surprise to enter the water and not suffer that reactionary sharp intake of breath that comes with a blast of cold. On the contrary, things were positively "just right." Three hours of surfing and the jaw was relaxed the whole time. Maybe it's the heatwave? Maybe it's something more complex regarding the movements of the Pacific this year? Maybe next week's typhoon will bring back the cold water? For this weekend at least though, life is at its best in boardshorts. Traveler, surfer, and scribe. Based in Tokyo for six years.